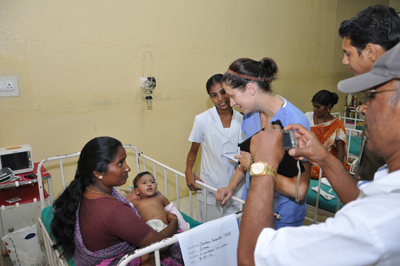 Little Sangeetha came to us one afternoon during a walk in clinic. 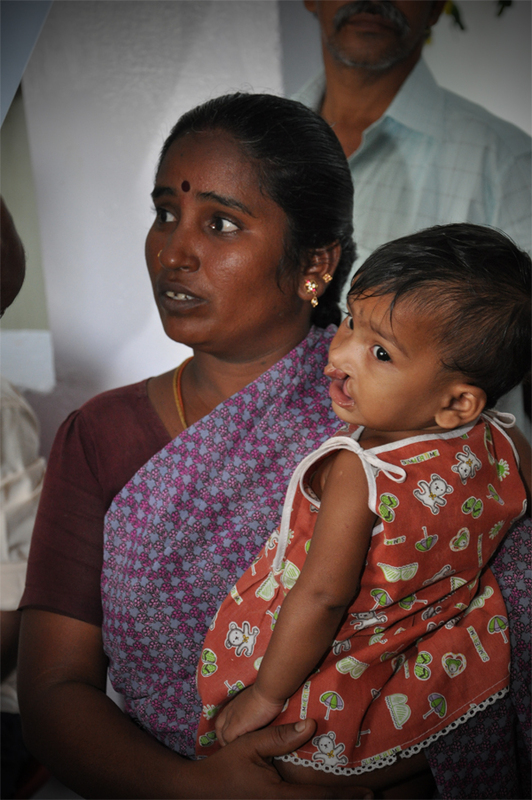 Sangeetha fit all the criteria for a priority case; cleft lip, less than six years old. 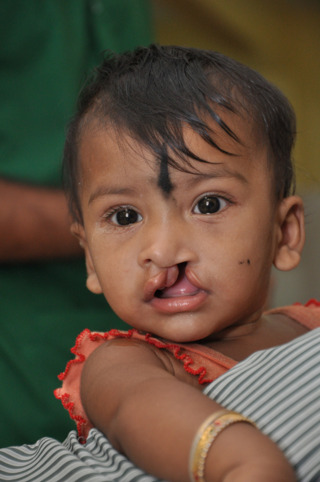 By getting the surgery done this young, she’ll get the maximum benefit as she starts her speech development. In every way, she represents the patients we are trying to reach. After clearing the intake clinic, she and her mom spent the night at the hospital. Scheduled to be the first patient of the day, misunderstandings about not feeding after midnight pushed back her surgery time. She’d had some formula which could cause problems during the procedure. 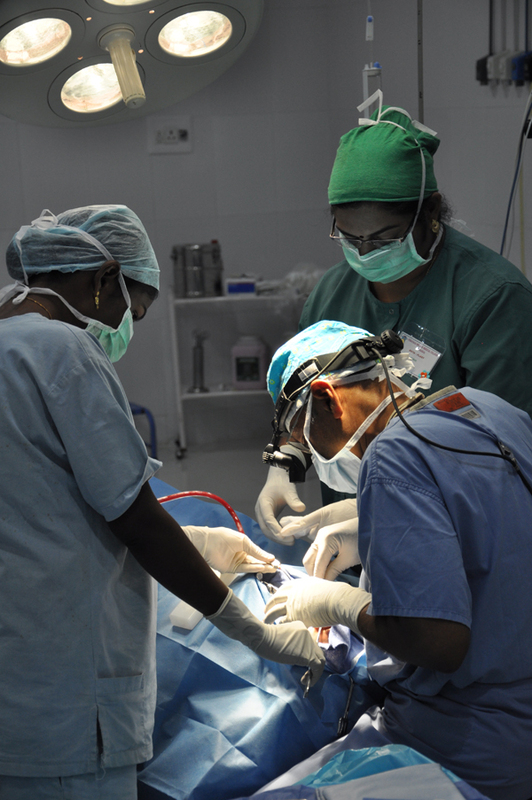 Finally the time arrived for Sangeetha’s mother to entrust her baby to our care. She was quite understandably nervous and concerned for the welfare of her baby. From the time the baby leaves for surgery until she’s reunited with mom two hours or more can pass. Two hours can seem like a lifetime. 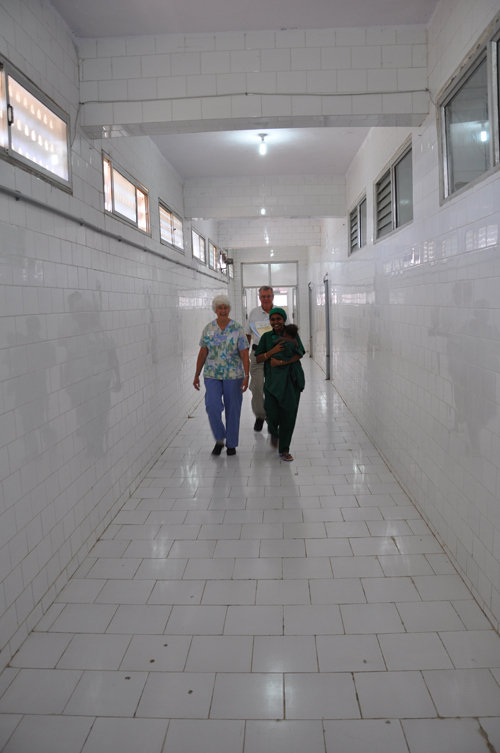 Patient transporters Mary, Allen, and the OR nurse bring Sangeetha up the long hallway to the operating room. Dr. Soma performing surgery; tiny patients require a fine touch. 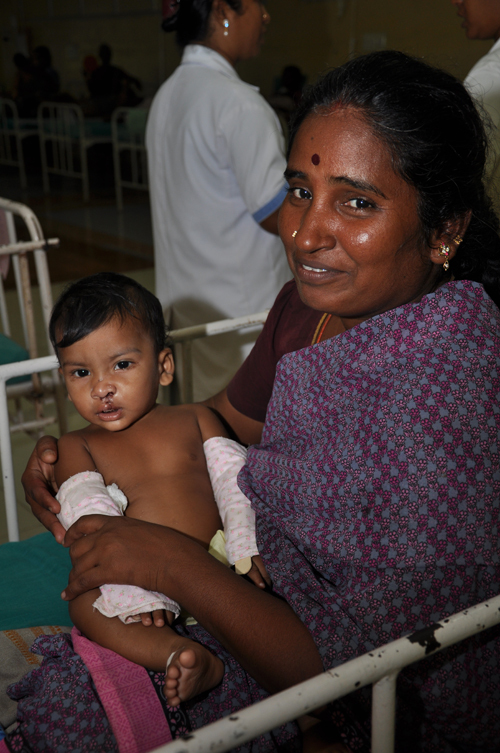 Sangeetha’s surgery is a relatively simple cleft lip repair but will have life transforming implications.